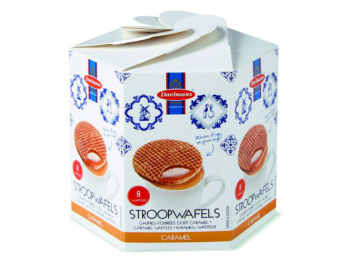 These Jumbo stroopwafels are wrapped per 1 and are perfect for those ‘on the go’ moments. Our single wrapped Jumbo stroopwafels have a diameter of 9 cm. Weight: 1.6 kg / 3.53 lbs per case. 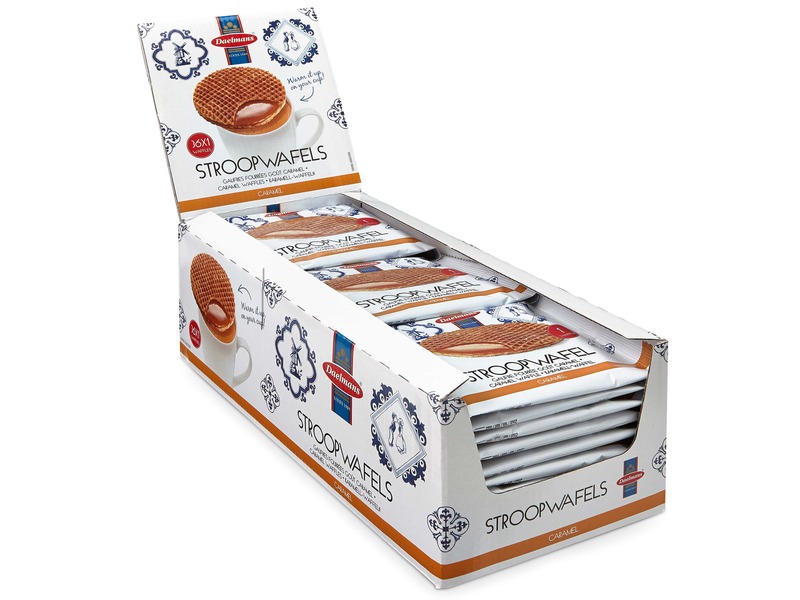 Our Jumbo stroopwafels have a diameter of 9 cm, are filled with a creamy and buttery syrup filling, enriched with natural Bourbon vanilla. They taste even better when you warm them up before you eat them. 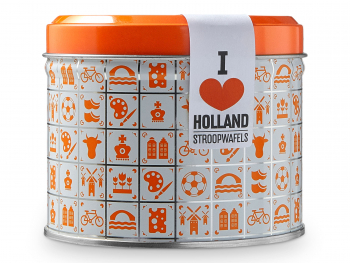 Just pop a stroopwafel on top of a hot beverage (coffee, tea or chocolate) for 1-2 minutes! The heat will soften the syrup and makes it very tasteful. 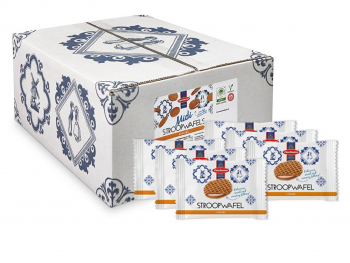 These Jumbo stroopwafels are individually wrapped, which will keep them fresh and perfect for those ‘on the go’ moments. 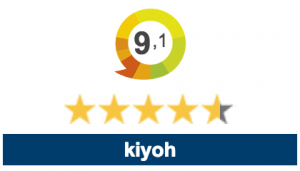 34% syrup (glucose-fructose syrup, sugar syrup), wheat flour, 14% butter (milk), sugar, vegetable oil (palm, rapeseed),soya flour, salt, emulsifier (soya lecithin), raising agent (E500), cinnamon, natural Bourbon vanilla, acidulant (citric acid).